On Jan. 2, 2018, Heights Libraries joined a growing number of public libraries that have eliminated overdue fines for most late materials. Despite the fact that the benefits have been supported by research, the elimination of fines still strikes many as an almost sacrilegious act. Libraries and fines, in some people’s minds, go together like peanut butter and jelly. ASL professor Clara Jean Mosly Hall presents her new book, Paris in America. The hearing daughter of a deaf Nanticoke Indian, Hall describes the intersections of her various identities in her new book, Paris in America: A Deaf Nanticoke Shoemaker and His Daughter. Her memoir is a celebration of her family, faith, journey and heritage. A question and answer period will follow the talk. Present were President Chris Mentrek, Vice President James Roosa, Secretary Dana Fluellen, Suzanne Moskowitz, Vikas Turakhia, Max Gerboc and Annette Iwamoto. Exploring the Heart of Dying Through Courageous Conversation. Join Atmarshardan Saraswati and Adaire Petrichor for a three-month exploration of Eastern philosophies in contemplative end-of-life practices. Present were President Abby Botnick, Vice President Chris Mentrek, Dana Fluellen, James Roosa, Vikas Turakhia and Suzanne Moskowitz. Max Gerboc was absent. At its Dec. 17 meeting, the Cleveland Heights-University Heights Public Library Board announced the appointment of its newest board member, Annette M. Iwamoto. Her seven-year term begins in January. At the same meeting, the board honored outgoing Board President Abby Botnick, whose seven-year term ends on Dec. 31. Chris Mentrek, who joined the board in 2013 and most recently served as vice president and chair of the operations committee, succeeds Botnick as president. Heights Libraries recently expanded its local history collection by creating a new digital archive of the Heights High student newspaper, the Black and Gold. Heights High students have published the Black and Gold since the 1920s, and the Cleveland Heights High School Alumni Foundation gave a collection of the paper to the library in hopes that the historic issues could be preserved and shared with the community. For the past few months, Heights Libraries’ Local History Librarian Jessica Robinson has been scanning and uploading old issues to the library’s page on the Ohio Memory website. The online collection currently includes issues from the 1930s and '40s, and Robinson plans to add to the collection in the future. Present were President Abby Botnick, Vice President Chris Mentrek, Dana Fluellen, Max Gerboc, James Roosa, Vikas Turakhia and Suzanne Moskowitz. Heights Libraries is currently accepting applications for a new trustee to serve a seven-year term. Applications will be available from the Lee Road Administration Office from Oct. 8 until Nov. 19. Those interested should call 216-932-3600 ext.1200. The deadline for receipt of completed application is Monday Nov. 19 at 5 p.m. Prospective applicants are strongly encouraged to attend an informational meeting on Wednesday, Nov. 14, 7 p.m., at the Lee Road Branch Administration Office Conference Room, 2nd Floor. Please RSVP to Nancy Levin, (216)-932-3600 ext. 1240. Present were President Abby Botnick, Vice President Chris Mentrek, Vikas Turakhia, Dana Fluellen, and Suzanne Moskowitz. Max Gerboc was absent. The podcast is the latest way that the library’s continuing education staff is helping customers keep up with, and better understand, trends in technology. President Abby Botnick, Vice President Chris Mentrek, Secretary James Roosa, Max Gerboe, Chris Mentrek, Suzann Moskowitz and Vikas Turakhia were present. The meeting began at 6:30 p.m. and adjourned at 7:30 p.m.
Heights Libraries recently launched four new, free digital collections that customers can access through the library’s website, at any time of the day or night. All that’s needed are a Heights Libraries card and an Internet connection. Youth Services Librarian Katherine Assink recently was reading Go Away, Big Green Monster! to a group of kids, and they were loving it. The colorful, interactive storybook—about a big green monster who gets bigger and scarier with each turn of the page—encourages kids to deal with their fear by facing it. During the second half of the book, the kids make the monster disappear, bit by bit, by telling it to go away. Most kids need a little help dealing with fears, but this group, perhaps, needs more than most; the children at this story time were all living in temporary housing provided by the homeless-serving agency Family Promise of Greater Cleveland. Cleveland Heights and University Heights residents alike are well aware of the diversity and rich history of this area. From October through May, Heights Libraries is inviting community members to celebrate this history by sharing memories of the Heights through “In My Day,” a unique storytelling project. Tuesday, Oct. 2, 7–9:00 p.m.
All American Boys: Jason Reynolds and Brendan Kiely. Join the library at Ensemble Theatre for an evening of side-by-side personal stories and inspiration from the authors of All American Boys, Jason Reynolds and Brendan Kiely. Monday, Oct. 8, 7–8:30 p.m.
Tech Talk: Little Bytes: Get Your Child Coding. This fall, Heights Libraries will explore the experiences of refugees around the world in On The Same Page, a community-wide initiative aimed at fostering conversations through a shared reading experience. On The Same Page will feature a series of community events, book and film discussions, and related programs aimed at raising awareness of the global refugee crisis and celebrating the cultures and contributions of Northeast Ohio’s refugee population. Present were President Abby Botnick, Vice President Chris Mentrek, Secretary James Roosa, Dana Fluellen, and Vikas Turakhia. The meeting began at 7:30 p.m. and adjourned at 8:10 p.m. In January 2018, Heights Libraries stopped charging overdue fees. The move was part of an overall shift in focus from restrictions and chastisement to forgiveness and easier access to materials and services. In April, Heights Libraries’ University Heights branch received a piece of art that serves as the final flourish in its extensive renovation: Jerry’s Map, by artist Jerry Gretzinger. Enter John Jarvey, a member of the FRIENDS of the Heights Libraries who oversees the sorting room at the Lee Road branch, where volunteers sort donated books and get them ready for FRIENDS book sales. Jarvey found a book—The Map as Art: Contemporary Artists Explore Cartography, by Katherine Harmon. Knowing Levin was trying to find geography-related art for the University Heights library, he gave it to her. Heights Libraries is surveying the community to gather public input about the Coventry P.E.A.C.E. Campus. The short survey covers topics that include safety, sustainability, parking, the playground, and possible improvements to the park. It also encourages community members to write in their own ideas with a variety of open-ended questions. Survey results will be published in the fall. The survey is available online, at www.heightslibrary.org/coventry-peace-campus-project, and on paper at Heights Libraries’ Coventry Village branch, at 1925 Coventry Road. Present were President Abby Botnick, Vice President Chris Mentrek, Secretary James Roosa, Suzanne Moskowitz, Dana Fluellen, Max Gerboc, and Vikas Turakhia. Summertime can mean hunger for some young people in our community, who no longer have access to free meals at school. Heights Libraries is ready to serve these children and teens, age 18 and younger, by once again hosting the Greater Cleveland Food Bank-sponsored free summer lunch program at its Lee Road and Noble Neighborhood branches. The Lee Road branch’s lunch program began June 4 and runs through Aug. 10, and is offered Monday through Friday, 1–2 p.m.
Heights Libraries’ Noble Neighborhood branch will provide lunches on Tuesdays and Thursdays, 1:30–2:30 p.m., through Aug. 9. Present were President Abby Botnick, Vice President Chris Mentrek, Vikas Turakhia, and Dana Fluellen. James Roosa, Max Gerboc, and Suzanne Moskowitz were absent. Tuesday, July 17, 2–3 p.m.
CMA presents: Ancient Egypt. Mummies, pyramids and King "Tut" have fascinated students of all ages. CMA will reveal the wonders of ancient objects and allow students in grades K–5 to handle and examine works of art that were once covered in the ancient sands of the Egyptian desert. Registration begins July 3. 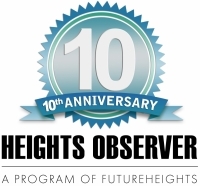 The Fund for the Future of Heights Libraries (FFHL) is currently seeking nominations for its Honor Roll. 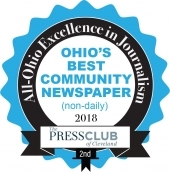 This lifetime achievement award recognizes those who have made a sustained, outstanding contribution to the Cleveland Heights-University Heights community by promoting literacy or by educating through literacy. Patterned after the Heights Libraries’ mission of “Opening Doors, Opening Minds,” people will be recognized as "Door Openers" for providing access to education, literature and opportunity through literacy; and "Mind Openers" for stimulating the minds of community members through literature and thoughtful discussion or connections with thought-provoking ideas or individuals. Heights Libraries’ summer reading theme is all about travel, encouraging customers of all ages to see the world through books and reading. When the summer reading program kicked off in early June, the library was also quietly launching another travel-related service: passport application processing. The Lee Road Branch, at 2345 Lee Road, is now an official passport acceptance facility for the U.S. Department of State, and is staffed by the library’s circulation staff members, who underwent extensive training throughout the spring to learn to perform their new duties. This summer, Heights Libraries invites its customers to travel far and wide, all within the cozy confines of the library or their homes. From June 1 through Aug. 19, Heights Libraries will offer a range of travel-inspired summer reading programs for children, teens and adults. According to the American Library Association, summer reading programs were first established in order to “encourage school children, particularly those in urban areas and not needed for farm work, to read during their summer vacation, use the library and develop the habit of reading.” These objectives remain at the heart of most summer reading programs today. The main difference is that these programs have been largely expanded to include teens and adults, too. Upon signing up for the program, pre-K children will receive a special “Reading Road Trip” map, while older children, teens and adults will receive a special “passport” (which, incidentally, coincides with the introduction of passport services here at Heights Libraries). 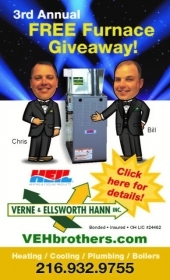 Monday, June 11, 6–7 p.m. The Cleveland Seed Bank in the Garden. Seed saving is a blossoming movement which encourages the growing of heirloom varieties of plants to preserve their genetic diversity. Learn basic information and the techniques you'll need to start saving your own seeds. All ages welcome. Wednesday, May 9, 7–8:30 p.m.
Cedar-Coventry Author Series: Terri Libenson. Terri Libenson, cartoonist, author and troublemaker, will read from her new graphic novel, Positively Izzy. Libenson is also the author of Invisibly Emmie and cartoonist of the internationally syndicated comic strip "The Pajama Diaries." A book signing will follow the reading. For the third consecutive year, Heights Libraries is partnering with the Cleveland Heights-University Heights City School District Visual Arts Department to host the Creative Heights District-Wide Art Show at the library’s Lee Road branch. The show runs April 17 to May 18, with an opening reception and awards ceremony on Tuesday, April 17, 6:30–8:30 p.m. The exhibit will features hundreds of pieces of art created by children in kindergarten through grade 12, in media ranging from pencil and chalk, photography, sculpture, pottery and painting, to papier-mâché, printmaking and metal. The show’s pieces were selected by district art teachers and judged by a jury of community artists. Awards for first place, second place and honorable mention will be given for each school, and one award for best in show will be given for elementary, middle and high school level art. Monday, April 2, 1–9 p.m.
Peeps Diorama Contest. Recreate a movie, book, or anything else you can imagine using the classic candy. Deadline for submissions is April 2, and winners will be announced one week later. Prizes will go to the top three creations. All dioramas will be on display at the UH Library. For kids in kindergarten through grade 12. This spring, Heights Libraries will celebrate classic American films with film screenings, book talks, live movie music, and film talks by local experts John Ewing, Neal Hodges and Mark Dawidziak. March 14: The Loved One: An Anglo-American Tragedy by Evelyn Waugh. Waugh’s fictionalized account of his time in Hollywood focuses on the strange and surreal practices of the mortuary industry. This biting commentary on American culture and the film community was called a “macabre frolic filled with laughter” and “fiendishly entertaining” by The New York Times. Heights High students who are aspiring musicians can now apply for the second installment of Cleveland Heights-University Heights Public Library’s Teen Music Makerspace program. The library will accept applications from Heights students between the ages of 13 and 18 through March 18 for the program, which runs April 9 through May 18. Teen Music Makerspace is a 101-style course covering everything from the history of electronic music to recording instruments, and using computer programs to create and manipulate sounds. The course, open to 11 students, will take place in the Teen Digital Media Lab, located in the Teen Room of Heights Libraries’ Lee Road branch. Thursday, March 8, 7–8:30 p.m.
Local Author David Giffels. Celebrating our wealth of outstanding local authors, this monthly series is presented in partnership with Mac’s Backs-Books on Coventry. In March, David Giffels reads from his heartfelt memoir, Furnishing Eternity: A Father, a Son, a Coffin, and a Measure of Life. With wisdom and humor, Giffels confronts mortality, survives loss, finds resilience in his Midwest roots, and seeks a father's wisdom through an unusual woodworking project—constructing his own coffin. A book signing will follow. Present were President Abby Botnick, Vice President Chris Mentrek, Secretary James Roosa, Max Gerboc, Suzann Moskowitz, Vikas Turakhia and Dana Fluellen. The Library's fiscal officer reviewed the December financial statements. Total cash balance across the operating accounts, Bauer Fund accounts, and investment accounts at the end of December was $11,694,681.20. The board accepted the December financial report. The Cleveland Heights-University Heights Public Library System voted to accept from the school district the transfer of the former Coventry school property, including the school building, playground and greenspace, at a special meeting of its board of trustees on Feb. 5. James Roosa, library board member, introduced the resolution authorizing the library to execute an agreement to purchase the property and negotiate and sign leases with the tenants. The motion was seconded by Board Member Chris Metrek, and passed unanimously. Present were President Ron Holland, Vice President, Abby Botnick, Secretary Chris Mentrek, Max Gerboc, Suzann Moskowitz, and James Roosa. Susan Beatty absent. The Cleveland Heights-University Heights Public Library Board will hold a special meeting on Monday, Feb. 5, at 7:30 p.m. at the Lee Road branch to consider an agreement with the Cleveland Heights-University Heights Board of Education to acquire the Coventry School property, including the school building and surrounding six acres of land. The Cleveland Heights-University Heights Public Library System has launched a local history Web page, designed to provide members of the community with access to local history information and resources, both online and physical. The Web page, www.heightslibrary.org/local-history, is the culmination of years of work that began in 2015, when the library created the local history librarian position to focus resources on preserving local history—especially the library’s, as it prepared for its 2016 centennial by digitizing its own organizational records, news articles and photographs. “The library’s centennial gave us a logical place to start our local history collection work,” said Jessica Robinson, who took over the local history librarian position in 2017. This past December, the Cleveland Heights-University Heights Public Library System acquired a mascot: an African pygmy hedgehog. The hedgehog, dubbed “Quilliam” by customer vote, lives in the teen room at the Lee Road branch, in a large habitat that includes an exercise wheel, blankets for burrowing and sleeping, and a small plastic shelter to hide in. Library staff has also provided a fact sheet about Quilliam for curious customers, and Rosenberger takes him out periodically to allow people to get a close look at him, and to ask questions. Where did we come from, and are we alone? Through March 9, Cleveland Heights-University Heights Public Library System invites the community to ponder these questions—and others—in Explore Space: A Cosmic Journey, a traveling museum-style exhibition and program series about the fascinating world of space and astronomy. Funded by a 2015 STAR_Net grant, Explore Space will kick off on Jan. 25 with an opening celebration featuring hands-on space-themed activities for all ages. Programs will take place at all four of Heights Libraries’ branches. Heights Libraries has partnered with the Cleveland Museum of Natural History on two of these programs. The first, Understanding the Universe, to be held on Jan. 24, will feature a discussion of the past, present and future of our university with Jason Davis, the museum’s planetarium manager. The second, set for March 6 at Heights Libraries’ Coventry Village branch, will be a family program at exploring Starlab, the portable planetarium from the museum’s Educational Resource Center. For the ninth consecutive year, the Cleveland Heights-University Heights Public Library System has received the highest possible rating in Library Journal’s Index of Public Library Service. The five-star rating is given to the top U.S. libraries each year. Heights Libraries has earned five stars in nine out of the ten years that Library Journal—a national trade journal that reports news about the library world, emphasizing public libraries—has published its ratings. Libraries are categorized by yearly expenditure and rated on five criteria: circulation, visits, program attendance, Internet terminal use (public computers), and eCirc (eMedia, such as eBooks). Present were President Ron Holland, Secretary Chris Mentrek, Susan Beatty, Max Gerboc and Jim Roosa. Vice President Abby Botnick was absent. The meeting ran from 6:30 to 7:14 p.m.
Cleveland Heights-University Heights Public Library System customers have more to celebrate than just the New Year. As of Jan. 2, Heights Libraries will have joined a growing number of Ohio public libraries that have eliminated overdue fines for most late materials. The Cleveland Heights-University Heights Public Library System regularly engages in community outreach. Storytimes at preschools and daycares, delivery of materials to home-bound customers, book discussions and computer classes at senior living communities and the Cleveland Heights Community Center, and free book distribution at community events utilizing the Book Bike are just a few examples of Heights Libraries outreach activities. Monica Wilson, youth services associate at the Noble Neighborhood branch, has found yet another way to reach customers outside of the library building, and encourage teens and kids to read: bringing library books for young readers to local barbershops. “Every six weeks, I bring a variety of books to two of the barbershops on Noble Road for customers to read while they get their hair cut, or wait for a cut,” said Wilson. Present were President Ron Holland, Vice President Abby Botnick, Secretary Chris Mentrek, Jim Roosa and Max Gerboc. Susan Beatty and Suzann Mozkowitz were absent. This December, Cleveland Heights-University Heights Public Library System and Dobama Theatre have joined forces to honor Sherlock Holmes, the legendary detective first penned by Sir Arthur Conan Doyle in 1887. Through Dec. 30, Dobama will host the regional premiere of “Sherlock Holmes: The Baker Street Irregulars,” a show that focuses on “a gang of street kids” employed by Holmes to scout out missions and help solve cases. When Holmes mysteriously disappears and a young girl’s grandmother is abducted, the Irregulars work to track down the detective and settle an urgent mystery from their past. One has reached thousands of students in the classroom. The other has handled thousands of books in the library basement. Both were inducted into the newly created Fund for the Future of Heights Libraries (FFHL) Honor Roll on Nov. 5 at John Carroll University. FFHL created the honor roll to recognize those who have made sustained, outstanding contributions to the community by enabling access to literacy or by educating through literacy. About 50 people braved the stormy weather to attend the inaugural FFHL banquet, which featured entertainment by violinist Ariel Clayton Karas. Rob Fischer, FFHL president, welcomed those in attendance, and Louisa Oliver, a volunteer and former president of the Friends of Heights Libraries, introduced Jarvey.